In our ongoing quest to track down the career and works of Francis Quirk, we have found people to be immensely helpful. 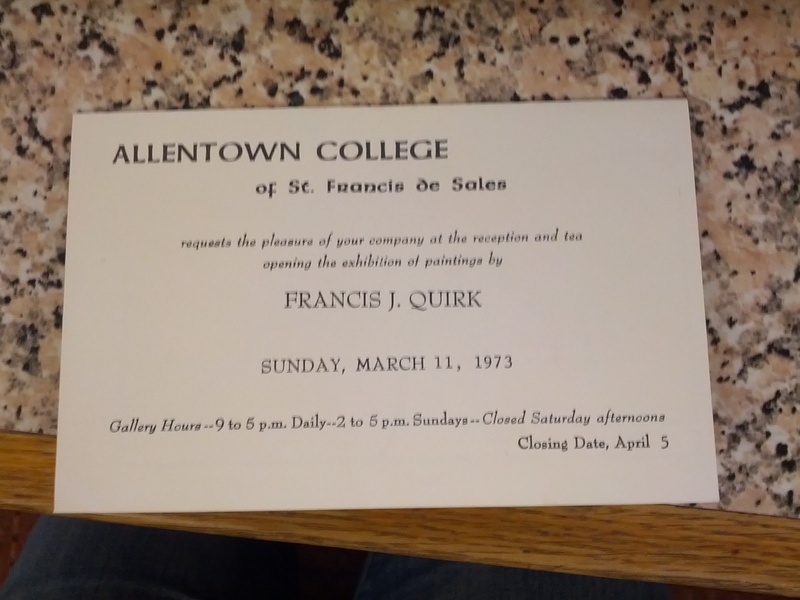 Our research identified information about a 1973 exhibition at Allentown College of Saint Francis de Sales, which has been renamed the De Sales University. We reached out to the institution and a part-time researcher went back into their archives to find the attached invitation. Alas, it contains no painting images, but it does give us a date. We are reaching out to the University’s newspaper, The Minstrel that has archives going back to the 1970’s. We hope that there is an article discussing the opening that we can tap into for information and to help build our image library.